Honestly, we're not sure which is cooler: the fact that these wedges are equipped with what Callaway calls "Mack Daddy grooves" or that such a component was inspired by short-game master Phil Mickelson. Either way, the triple net precision forging leads to maximum shot-stopping spin & which in turn leads to increased scoring accuracy. Oh, and the name "JAWS" wasn't just chosen at random. 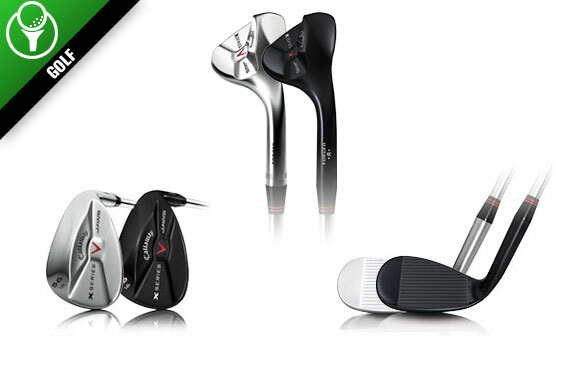 You've been yelling for your ball to bite for years, but with these clubs, it will finally start listening. Just ask the company's Mack Daddy himself, as Mickelson "grooved" his way to four victories this past season.